Why 'Many Generals Governors' ? Campaign AI has a bug -> it's often sending armies without generals. It's impossible to fix. So the idea is : if AI has enough generals, it should send at least one in attacking army (even randomly/statistically). Next: as a player: number of available generals & governors on game start for some factions is really really small. Generals or Governors - it's Nobility. I think they should be generally easier available. Of course if you loose them in a war (like France at Agincourt) - you don't have them. Recruitable generals do not affect family tree, dynasty - they are not family so it's safe. Nobility - it's the 'Oligarchy' social class. I think there is no vacuum in this social class, sooner or later someone will be here. From history : When there's period with lack of Nobility (army commanders or governors), ruler can accolade for knight the most capable folks - and we have Nobility. 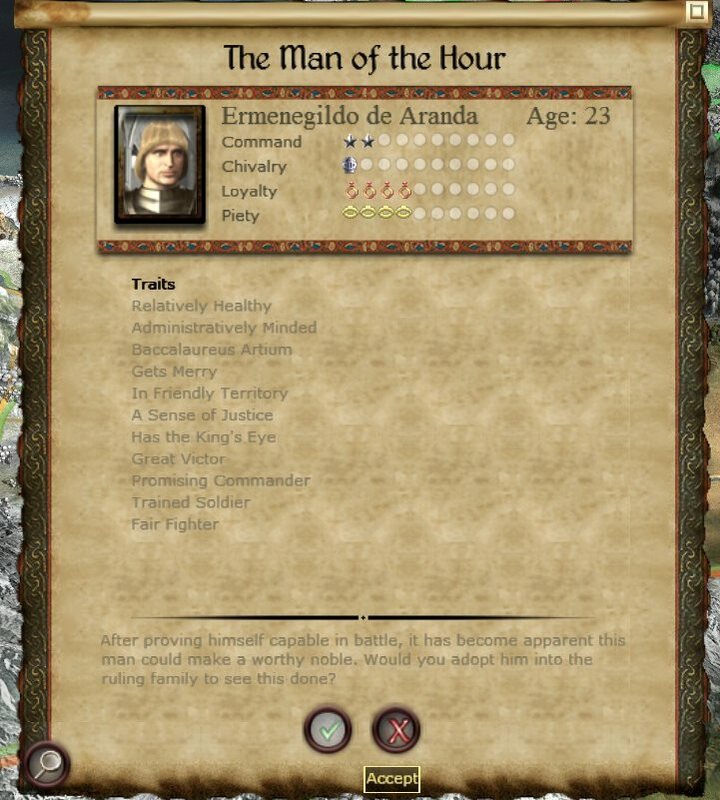 So to summarize - Nobility should be a lot easier to recruit then in vanilla SSHIP :-). Higher settlement levels have bigger maximum 'stacked' units, up to 2 or 3 in biggest settlements. AI is training additional generals, there's more stacks commanded by generals.